Walking into the opening gala was like being welcomed into a friend’s home; we were immediately hit with the intense fragrances of cumin, saffron, and garlic. By the entrance there was a generous spread of food, next to which people of all ages gathered. We gleefully ate baklava, the likes of which we enjoyed with our own families during celebrations. This launch event was perfectly suited to the intentions of the Muslim Arts and Cultures Festival; bringing together different communities and sharing diverse cultures and traditions. This event was held on the 11th of November – Remembrance Sunday – and gave the perfect opportunity to bring awareness to the foreign soldiers who fought for Britain during World War I. Despite WWI being taught as early as primary school, we are often too nation-centred and insular in our teaching. We overlook the contributions of those we relied on, Colonial subjects, Muslims included, who gave their lives for our future. The audience was presented with a short film created by The British Muslim Heritage Centre. It recounted the input of Muslim soldiers, acknowledging that 400,000 Muslims from different countries fought for Britain during the Great War. This Sunday, they were finally given the respect of a minute’s silence and commemoration that we regularly provide to British Soldiers. What followed was a variety of speeches, including a spine-tingling address by Qaisra Shahraz – the festival’s driving force, and “trailblazer” as described by Rusholme MP and Director of the Festival, Councillor Rabnawaz Akbar. Akbar praised her rejection of social expectations regarding gender; she threw off the stereotype of women being a housewife, instead pursuing writing and activism. The performances that made up the afternoon – from Sufi singing to Palestinian dance – gave a insight into the rich jam-packed schedule of MACFest. The festival will support and give a platform to artists of different nationalities, ages, and backgrounds, bridging the gaps between the internal communities of the Islamic Faith. 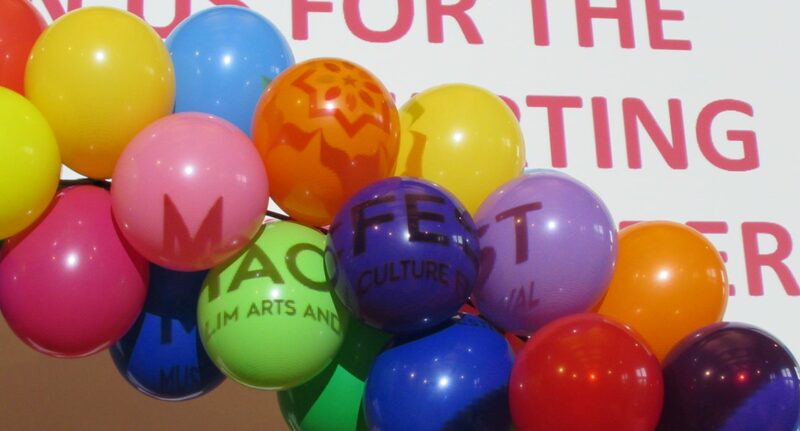 MACFest’s schedule can be found on their website.